Plants carry out photosynthesis and thus form the basis for most life on Earth. 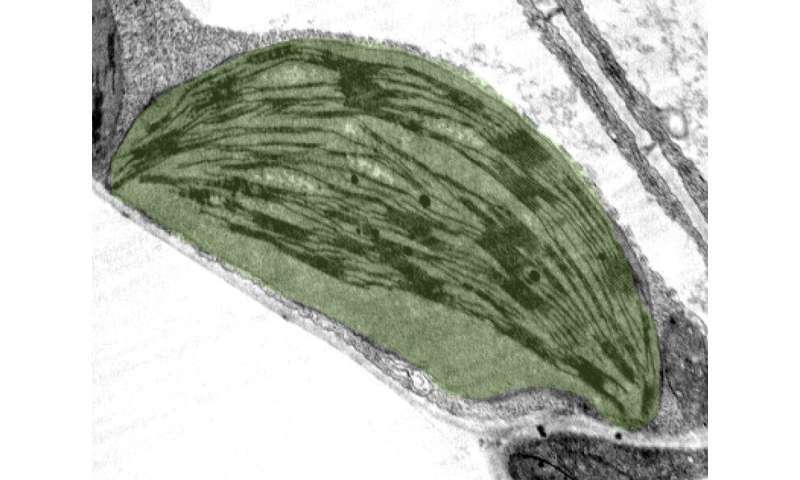 Researchers from Kaiserslautern and Potsdam have now investigated whether the production of photosynthesis proteins in land plants and algae differs. To do so, they examined translation; this is the process by which the genetic information is converted into proteins. They have discovered that all plants produce the same amounts of major proteins involved in photosynthesis, but in some cases, based on different strategies. The result shows how important these proteins are for plants, regardless of their habitat. The findings of the study can help to make crop plants more resistant to climate change. The study was published in the journal Nature Plants. In photosynthesis, plants produce carbohydrates from CO2 using light. During this process, they also release oxygen. 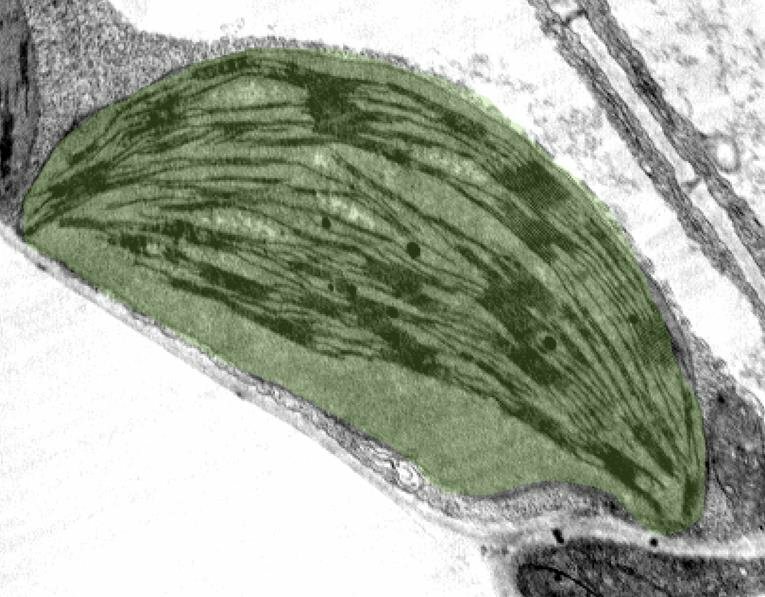 This biochemically complex process takes place in chloroplasts, small green organelles with their own genome. "It also contains the genes of the proteins involved in photosynthesis," said assistant professor Dr. Felix Willmund from the group of Molecular Genetics of Eukaryotes at the Technische Universität Kaiserslautern. In order to "convert" this genetic information into proteins, the first step is to copy the genetic material into a transcript, termed ribonucleic acid (RNA). "The transcript serves as a kind of blueprint with the help of which large molecule complexes, the so-called ribosomes, assemble proteins from individual amino acids," says lead author Dr. Raphael Trösch, who is part of the Willmund research group on the Kaiserslautern campus. This process is also known as translation. In the current study, Trösch and Willmund together with colleagues around Dr. Reimo Zoschke from the Max Planck Institute for Molecular Plant Physiology (MPI-MP) in Potsdam-Golm investigated whether there are differences between land plants and algae that are far apart in evolutionary history. They compared these molecular processes in green algae, tobacco plants and Arabidopsis thaliana using a new method. They applied the so-called ribosome profiling. In this method, the researchers take a look at the RNA and ribosomes present during translation. Similar to a footprint, ribosomes leave traces on the RNA that allow scientists to create a characteristic image that shows them which proteins are produced in what quantities. The clue is as follows: "This technique provides us with an overview of the entire translation process, but we can also take a closer look at details," said Zoschke, who heads the Translational Regulation in Plants working group at the MPI-MP. "For all three plant species, we found that the same amounts of proteins are formed during translation that play a role in photosynthesis," explains Zoschke. However, the researchers have also found that there are differences in the molecular processes that occur before and during translation. "Nevertheless, over the course of evolution, the different plants have developed mechanisms to produce the same photosynthesis components in equal amounts during translation," says Willmund. "This shows the central importance of these molecules." The results also show that plants succeed with different strategies in achieving a very similar photosynthesis process despite different living conditions. It is therefore important to investigate such fundamental processes in order to better understand which mechanisms plants use to cope with environmental influences such as strong changes in temperature or light, for example. In the future, this knowledge will help to make crop plants more resistant to climate change.